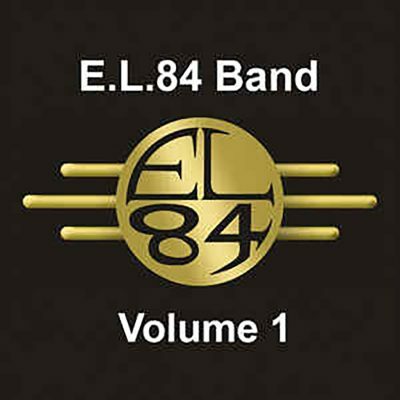 E.L.84 are a suit-wearing, fedora-rocking band out of American Fork. Genre-wise, the band is somewhat of an enigma. They do not seem to consistently fit into any one particular genre. At its core, the band is primarily rock. The four guys consider their music as a “musical evolution,” meaning that their songs contain signature styles of popular music ranging from the ’60s all the way through the ’90s eras. Volume 1 is clean and simple, though not devoid of entertainment. The band embodies elements from the early decades of rock by playing long songs, some nearly reaching eight minutes. Whether the song is short or long, each is filled with drawn-out instrumental jams with dramatic pauses between chord progressions. Volume 1 opens with “Civil Disobedience,” which is, at first, somewhat psychedelic-sounding, with low and slow harmonies. It then shifts into a quick guitar rhythm that sounds jazz-like before slowing again. Within a single track, the song showcases the versatility of the band.